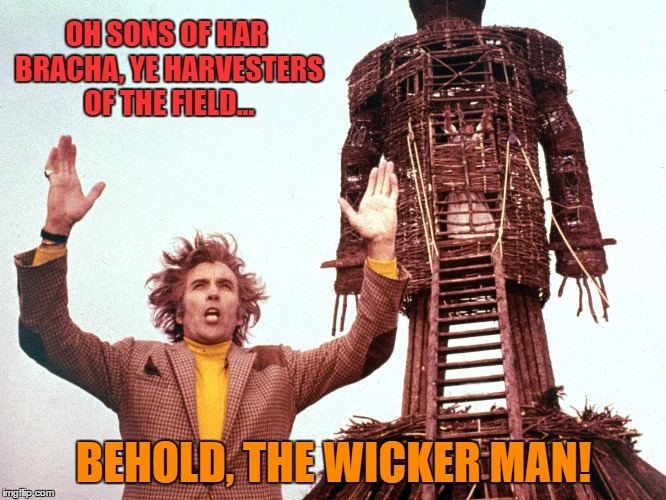 Here is the original article, "David Wilder's "Hayovel" Revelation". 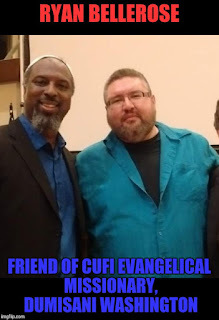 An honest reader will see that I clearly acknowledged that Hebron activist David Wilder called out Tommy Waller as a missionary several years ago. By no means did the article attack David Wilder himself. On the contrary. I indicated that Wilder acted correctly (even if he has unfortunately chosen to remain silent on this issue these days). Yet since the easily agitated and insecure Ryan NEEDED to believe that I attacked Wilder, he made a terribly inaccurate conclusion without investigating. Ryan does this all the time, and this is why we make sport out of exposing him. He is dishonest, arrogant, and feeble-minded. If there is one thing he has in abundance it is a childish temper and a barely restrained pent-up aggression which he cannot vent anymore due to his failing and ailing body. 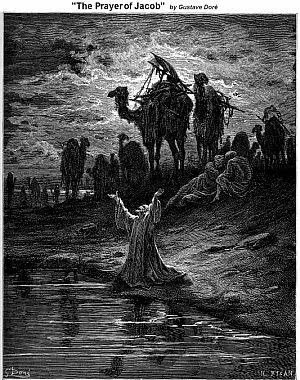 In his zeal to react, he surely never considered the commonality of the three other personalities he referenced. 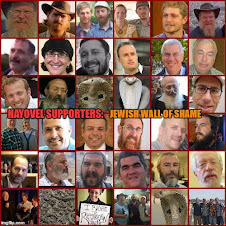 David Haivri, Yehuda Glick, and Yishai Fleisher, are all aligned with missionary Tommy Waller and Hayovel! But since Ryan lacks a basic understanding of the facts, he can't consider the ramifications of what he writes. Chief Faux-Cohontas is a hasbara fraud whose ignorance surpasses his general nastiness. He never even read the article, but his hatred of the administrators of this blog compelled him to comment. 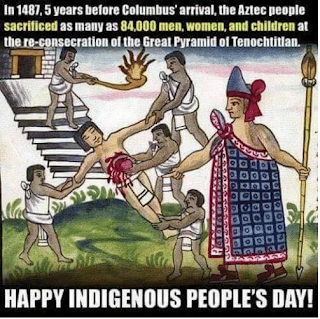 In the aftermath of a discussion on "Columbus Day" on his Facebook wall, this overgrown baby saw fit to make ridiculous statements and issue ultimatums's. When people went against the grain on this Facebook echo chamber, he began whining and even blocked another free-thinker. This is Ryan's MO. Waa Waa Waa! The war cry of a whiny, arrogant, clown who doesn't even realize what a joke he is, thanks to his small but rabid following of a cadre of angry nebbish Jews. In the meantime, Bnai Brith's token gentile "advocacy coordinator" has a lot of work ahead of him. His promised book on "indigenous Jewish rights" is always just around the corner, eternally stuck at that peculiar 75% percent complete phase. One wonders if some of his foolish patrons for his GoFraudMe campaign are growing a tad antsy. After all, their hard-earned money could have gone to children with cancer, or to feed the hungry. Instead they funded a lazy man who promised a book on bad fiction. This blog is usually reserved for missionaries and the Jews who enable them, with an emphasis on the evangelical organization "Hayovel". 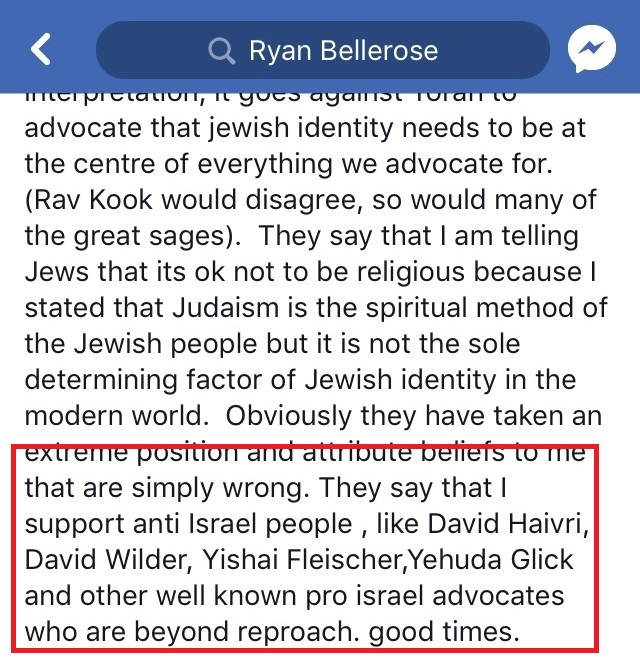 Yet when Ryan Bellerose decides to weigh in on the matter to score a few points with unprincipled hasbarites, he needs to be called out and exposed. To put it bluntly, he is a jerk who interferes in Jewish affairs, and is on the wrong side of every single issue. Go away, Ryan. 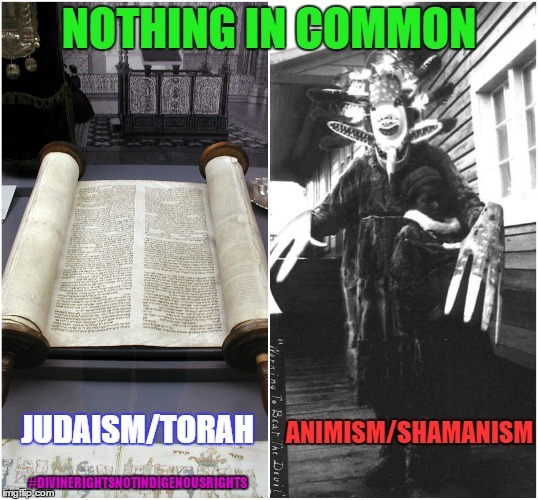 You have nothing to say on anything related to Jews, Judaism, or Zionism. You are an outsider. Go babble all you want about Cree spirituality, which we Jews would rightly call paganism and idolatry. 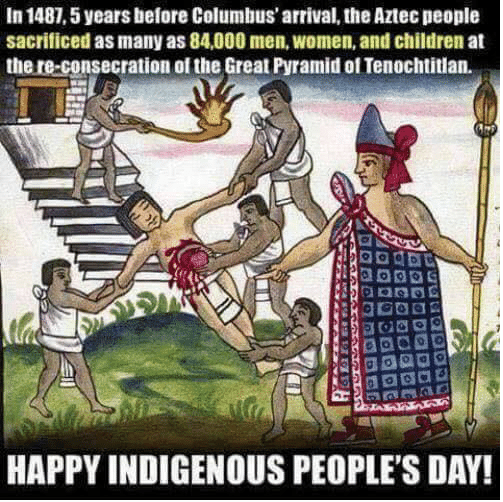 Go hypocritically rage against Columbus and the pilgrims, while selectively ignoring centuries of G-dless Indian barbarism between tribes, which began long before the first European planted his feet on American soil. Consider your ignorance, and the fact that your cherished life's work on "indigenous rights" is a joke and a lie. Time and time again I have left you unable to respond cogently to my systematic destruction of your best articles. If you do your research, you will discover a treasure trove of articles where I mangle every single ridiculous point you make on indigenous rights. If you were polite and left us Jews alone, I would easily ignore you. Since you lack the civility of a rabid shrew, and you arrogantly interfere with my people's beliefs, you will receive no civility in return. You initiated the cycle of nastiness. The least we can do is expose you as a fraud. After all a man who calls missionary Dumisani Washington a friend, is no friend of the Jewish people. 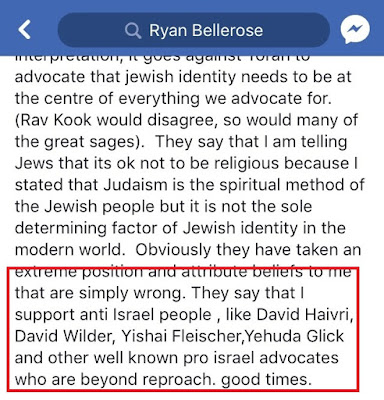 A man who defends and supports Jews who align with evangelical missionaries does not have our best interests at heart. You are wrong on every issue, Ryan. You pander to liberals and conservatives, and are too craven to take a consistent stand on any issue which might antagonize your peanut gallery. Cowardice, thy name is Ryan Bellerose.